A friend and I meet at the gym twice a week. Week in and week out. I’m there for her. She’s there for me. Sometimes our schedules don’t quite mesh, but we do the best we can to keep each other on track. It’s been a game-changer for this “always picked last in gym” person, who used to avoid the fitness center like the proverbial plague. Our current workout program ends with either extended lunges or prolonged squats. Twenty seconds doesn’t sound like much, but when your thigh muscles are screaming, it feels like an eternity. Twenty seconds times four rounds. We push each other through this part. Honestly, she’s better at that than I am. She’ll remind me to breathe, while I’m thinking “How can you talk??! !” Point is, left to my own devices, the odds are significantly higher that I’d make an excuse to give up. It’s all about accountability. I show up because she does. She shows up because I do. Over the weekend, I dug out some books from the “to be read” pile, and settled down on the patio during a steamy Sunday afternoon with Julia Cameron’s Finding Water- The Art of Perseverance. In it, she lays out what she calls her “basic tools”—Morning Pages, Artist Dates, and Walking. I skimmed one of her other books, The Artist’s Way, years ago, where the same tools were described. The idea of Morning Pages has intrigued me ever since, but do I ever get up and write? Nope. Never. 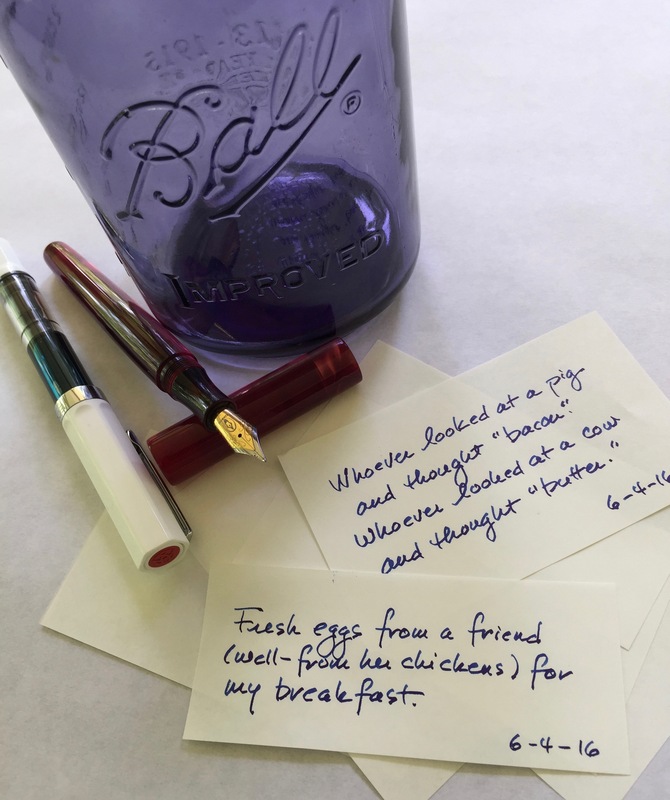 I have this terrific Seven Seas “Writer” journal with 480 pages of exquisite Tomoe River paper, well-loved and inked fountain pens at the ready, and yet, when I wake up, I screw around on my phone. Then it’s time to shower, cook breakfast, make my tea, and zip off to work. Lather. Rinse. Repeat. So I’m putting this out there. I need an accountability partner (or partners) for my morning pages, just as much as I need one at the gym. Anybody game? I’m doing the Whole Life Challenge for the sixth time, and, as promised, it continues to change my whole life. While diet and exercise (and sleep and water consumption) are a big part of the challenge, each week we’re also given a lifestyle challenge—things like meditation, leaving our digital devices behind, or de-cluttering. This week’s challenge, the Jar of Awesome, is brand new and has me really fired up. Why? Because it combines, pens, paper, and gratitude in a very simple and meaningful way. To assemble a Jar of Awesome, all you need is some sort of jar. I happened to have this “Limited Edition” (???) Ball jar on hand, but you could easily use a washed out mayonnaise or peanut butter jar. Any jar will work. The jar itself need not be awesome. 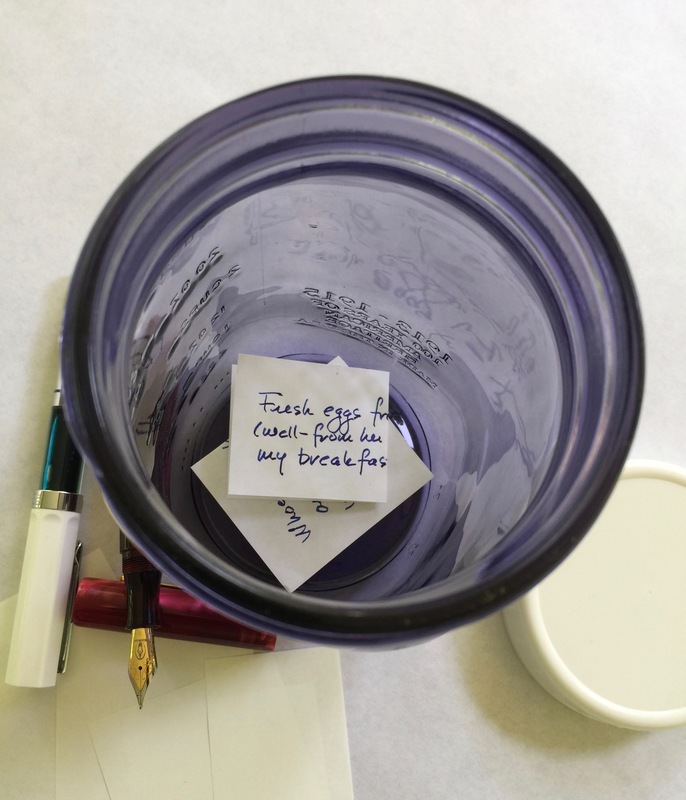 To put the “awesome” in the jar, cut up some paper and grab a pen or pencil. Any paper. Any pen. Any pencil. 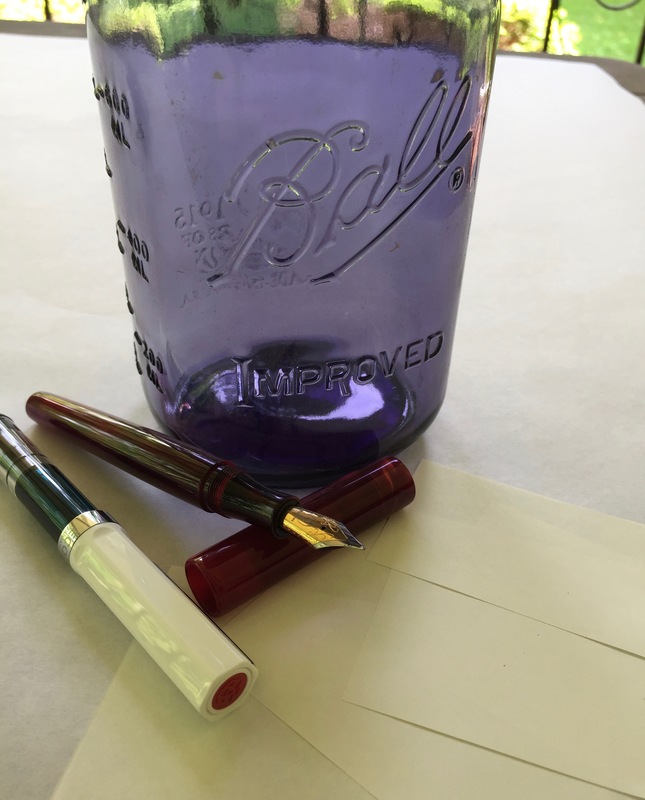 I’m using Tomoe River paper and a couple of fountain pens today, but I plan to mix things up as time goes on. The tools don’t matter. Every day, write down at least one thing that’s made your day awesome. 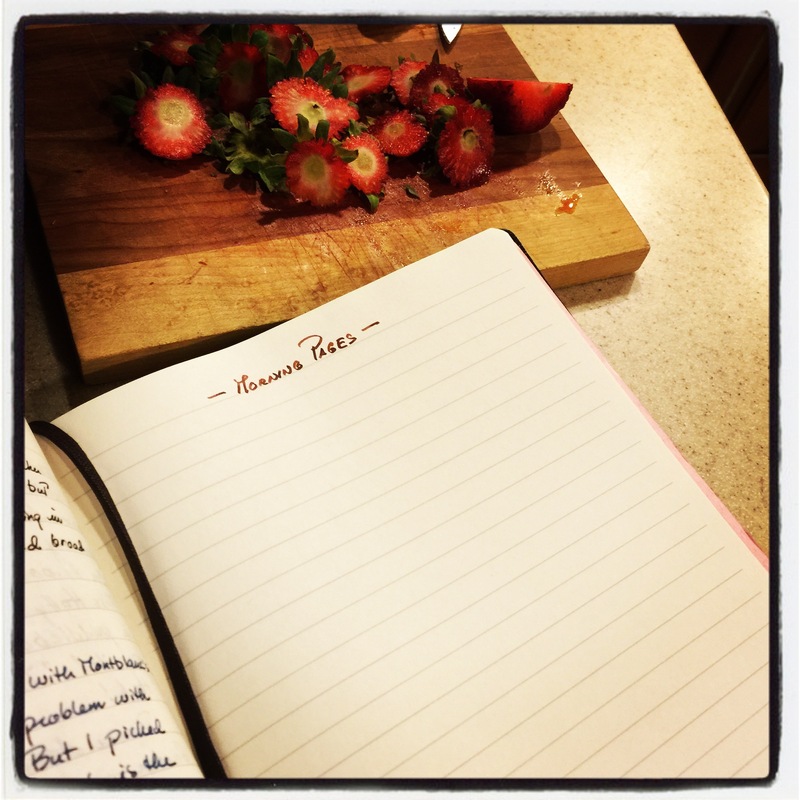 Simple, funny, heartfelt…whatever it is…write it down. I plan to use the Nock Co. 3×5 DotDash cards I always have with me to jot down things on the fly as carrying a mason jar seems like it could be a little…ummm…cumbersome. Then, later, I’ll transfer the awesomeness to my little pieces of paper. Toss the slips of paper into the jar. I’ve chosen to fold my paper so that I can catch glimpses of what I’ve written, rather than folding the paper so that the words are hidden. How cool and uplifting and inspiring it’s going to be to watch the paper slips, and awesome things, pile up inside the jar. It’s like a time capsule of all the good things that come into our lives—many of which we barely notice. 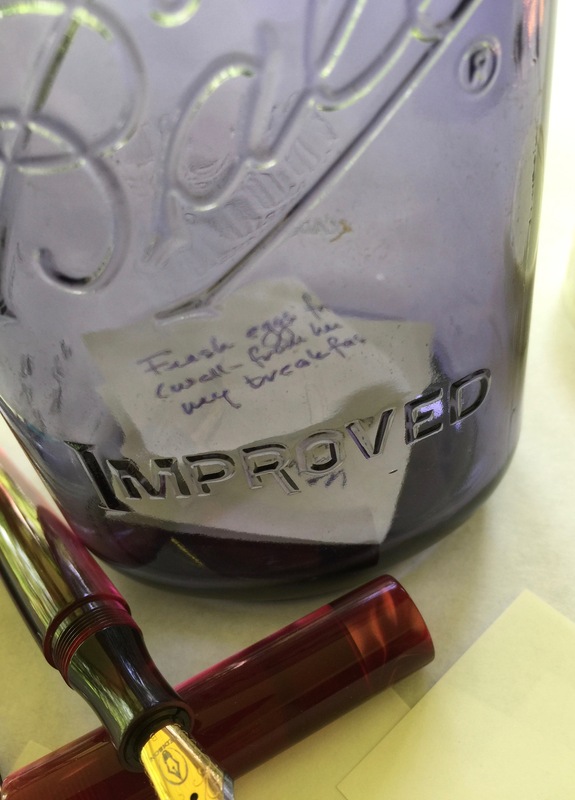 The Jar of Awesome aims to correct that by showing us how much awesomeness surrounds us every single day.